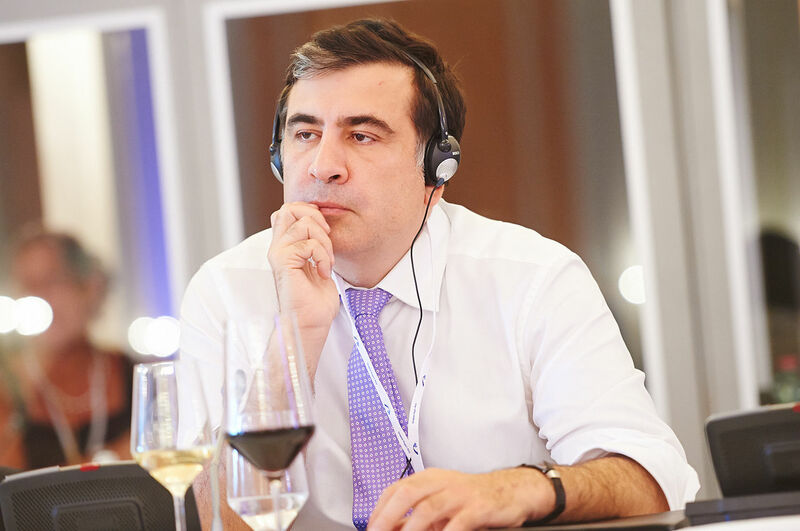 A knowledgeable source within the Ukrainian government has informed Tsarizm that Kyiv has grown tired of the former mayor of Odessa, Mikhail Saakashvili’s antics and he is on the path to be arrested and deported in the near future. Saakashvili’s citizenship was revoked by Ukrainian President Petro Poroshenko but the former president of Georgia returned illegally to Ukraine, breaking through the border with a crowd of supporters earlier in September. Saakashvili headlined a multi-day protest outside of the parliament building in Kyiv earlier in the week, drawing a large police and security force presence. He seemed to be more subdued during the three day demonstration, possibly worried about being arrested. Saakashvili resigned his post as mayor of Odessa in November of 2016 , saying the corruption was too great and was being overlooked, and even enabled by President Poroshenko. Saakashvili has formed a new political entity, the New Forces Movement and is allied with former Ukrainian prime minister Yulia Tymoshenko.